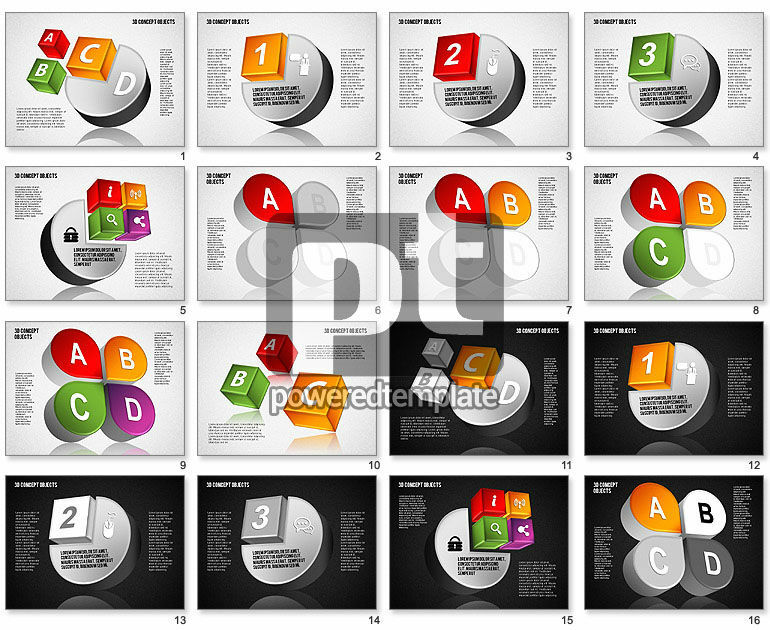 These presentation slides 42384 are complete compatible with Google Slides. Simple download PPTX and open the template in Google Slides. Choose this bright 3D style template and you`ll never regret. It has various colorful items of different shapes with letters and numbers connected to each other, so you may use this modern theme to visualize lots plans, reports or analytical projects in business sphere, media, network or education. Also this beautiful sample has very stylish color palette and two color variants of the background.